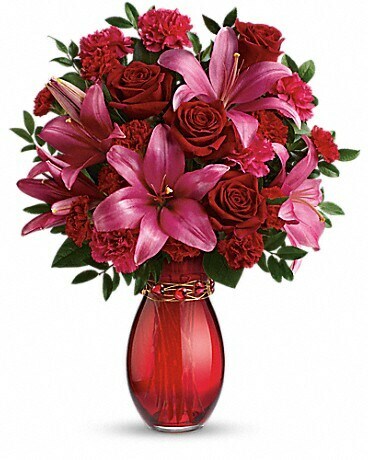 Get kissed! 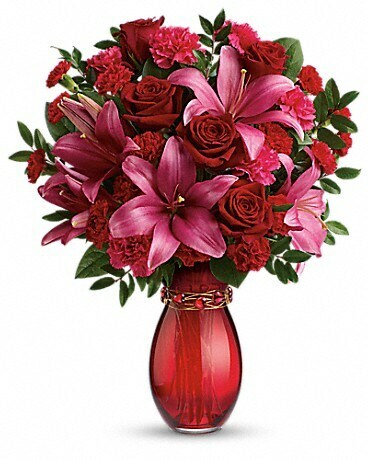 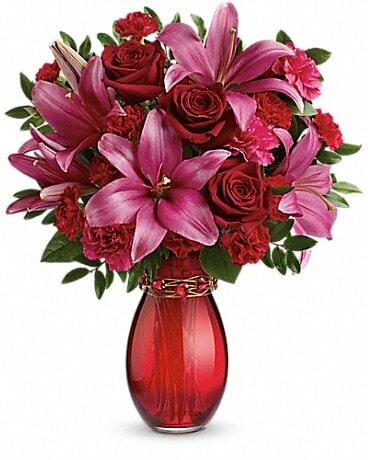 Captivating crimson roses and flirtatious pink lilies are sure to earn you a few Valentine's Day smooches, especially when they're hand-delivered in this hand-blown red glass vase with a striking bracelet! 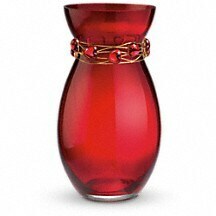 This elegant hand-blown red glass vase is adorned with a striking adjustable bracelet made of golden wire and red hearts in the tradition of artisan-crafted jewelry.